I love grouper, it requires very little to deliver a delicious meal and is a fantastic fish for the grill. In Florida the fish is on many menus and on our vacations to the state grilled grouper was always a great choice. Here we keep the seasoning simple with a little sea salt as the smokiness of the grill will infuse the grouper with immense flavor. To liven it up a bit I put together this magic green sauce that turned out far better than I could have hoped for. 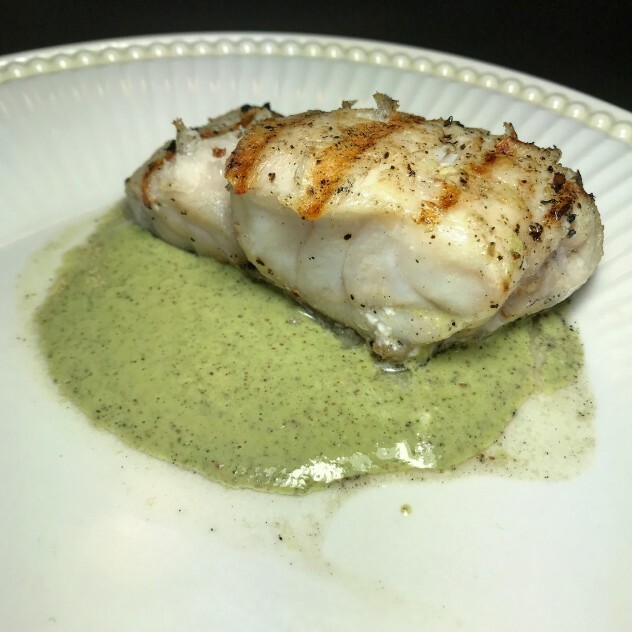 The sauce is like a pesto but saucier and I add an anchovy fillet to enhance the seafood flavors. Together this grilled grouper recipe with lemon parsley sauce was truly a fantastic dinner. Any leftover sauce can be used on a veggie omelet or another fish dinner.